Hashtags were first introduced by Chris Messina in Twitter on August 14, 2007. Tumbler followed their lead with hashtags in August of 2009. Years later in June of 2013, Facebook incorporated hashtags. Google introduced hashtags in September of 2013. Later Pinterest and Instagram followed suit. This popular movement for the use of hashtags was motivated by research that proved the effectiveness of hashtags for increasing social media engagement and brand awareness. “#” or Hash is a symbol. Hashtags include a word or phrase without spaces preceded by the “#” symbol. Hashtags provide a way to categorize social media content, making it easier for people to search and find content they are interested in. Four types of hashtags include brand, campaign, trending and content. Brand Hashtags include the company’s name or tagline. They are used with the company name to strengthen brand awareness. Examples include #JustDoIt for Nikki, #HallmarkCards for Hallmark, #ShareACoke for Coca Cola. Campaign Hashtags are hashtags used for a specific marketing campaign to promote a brand in association with a particular product, service or event. Examples include #Christmas, #BlackFriday, #MothersDay. 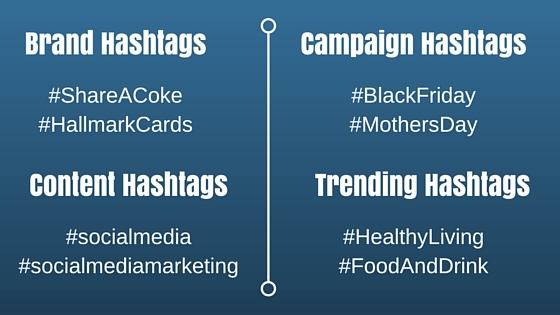 Trending Hashtags pertain to the most popular topics that are trending within social media. These types of hashtags will change frequently as they relate to hot topics often associated with changing newsworthy events. Google+ Explore is a good place to identify trending hashtags that can serve as a guide for some of your social media post content. Content Hashtags include keywords that are relevant to the post topic, included within the content and likely to be searched or followed by your market. For example, hashtags about social media marketing might be #SocialMedia #SocialMediaMarketing #Social MediaTips. Twitter, Instagram, Facebook, Pinterest, Tumblr and Google + all accept hashtags. Each hashtag automatically includes a link that produces all posts using that same hashtag. Rather than guessing at the best hashtags for attracting your ideal customers, tools are available for helping you to easily find relevant and popular industry specific hashtags and for engaging your market. 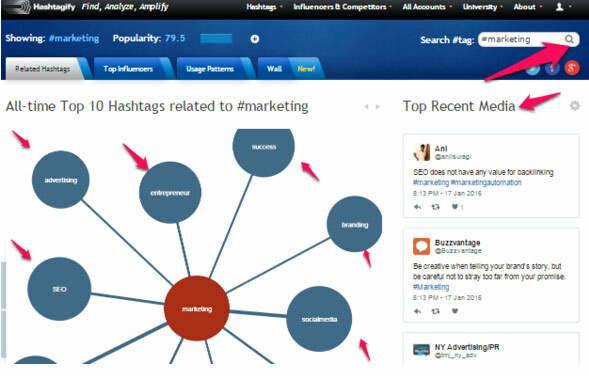 One of the best tools for finding popular hashtags for business is Hashtagify. Simply type a keyword hashtag related to your business in the search box. Results include a popularity score for the searched term and 10 of the most popular related hashtags with a high correlation to the main hashtag searched. After identifying hashtags that are relevant and popular in your industry, the next step is to analyze the effectiveness of those hashtags. 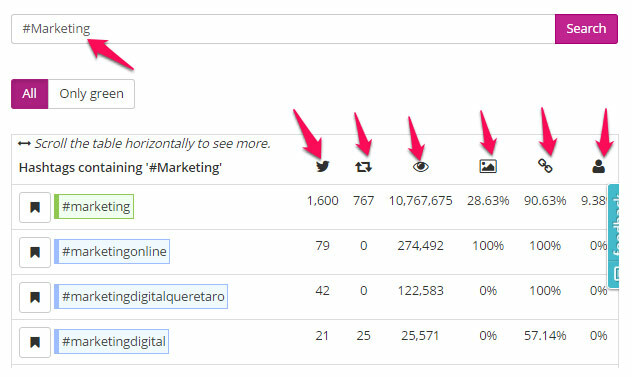 Two powerful tools are useful in analyzing hashtags. These include RiteTag and Keyhole. Let’s explore each of these tools. RiteTag provides you with an easy hashtag analysis that includes data from Twitter. A convenient search allows you to enter a hashtag and immediately view results in order of importance broken down by the types of Tweets. Begin by visiting RiteTag.com and logging in with your Facebook or Twitter account. Click on the research button. The legend for hashtags provides you with color coded results identified as hot now, long life, overused and underused. The next step is to type your preferred hashtag in the search box and click on the search button. The green results are the hottest trending hashtags and will be most useful for engaging your market in social media. 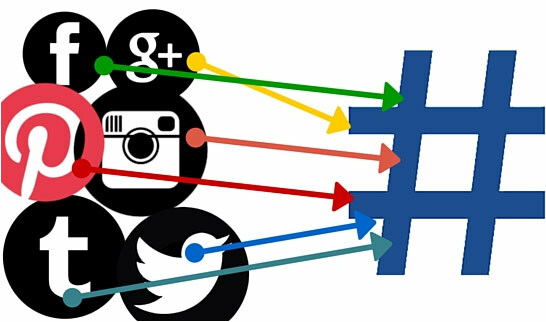 Icons above each hashtag instantly identify unique tweets per hour, retweets per hour, hashtag exposure per hour, Tweets with images, Tweets with links, and Tweets with mentions. Keyhole is another useful hashtag analysis tool that allows you to track hashtag results in real time from Twitter and Instagram. 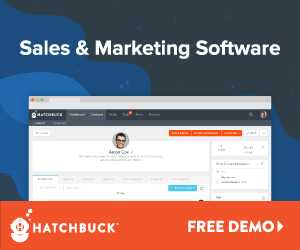 it also lets you easily find hot spots of activity where you can automatically engage your market. Three convenient plans in Keyhole provide you with information for tracking campaigns and topics in real time including users, posts and impressions. You will be able to readily find active and influential users who are talking about your brand, directly reach them and encourage repeat engagement. Besides analyzing your own content, you will find the most engaging social media content by all companies with an opportunity to make it your own. Begin by visiting Keyhole.co and entering your hashtag term in the search box. Check the box for Instagram if you would like to obtain results for both Twitter and Instagram. Click the search button to view the number of posts, users, reach and impressions. You will also see location, influential sources, and demographic information. Many people believe that more is better but using too many hashtags and using hashtags that are too long can actually compromise your results. You are allowed to use any number of hashtags in any length in Facebook and Google+. In Twitter you are limited to a total character count of 140. Your total number of hashtags per image post in Instagram cannot exceed 30. Research data suggests that a higher engagement is likely with fewer hashtags. In Twitter, 1-2 hashtags produces higher engagement. Using 1-2 properly researched and applied hashtags in Facebook can produce viral results. Instagram hashtag use has the highest social media engagement. According to research, posts with 11 hashtags in Instagram get 79% interaction per 1000 followers. Here are a few valuable resources to expand your knowledge in the effective use of hashtags for your business. This article has provided you with information and tools for getting a maximum benefit from proper use of hashtags in your social media posts. Need more help with your social media marketing? WebPuzzleMaster’s social media marketing services are designed to produce effective engagement with your market in social media at a significant return on your investment. Take Your Business to the Next Level with a Free Social Media Marketing consultation.